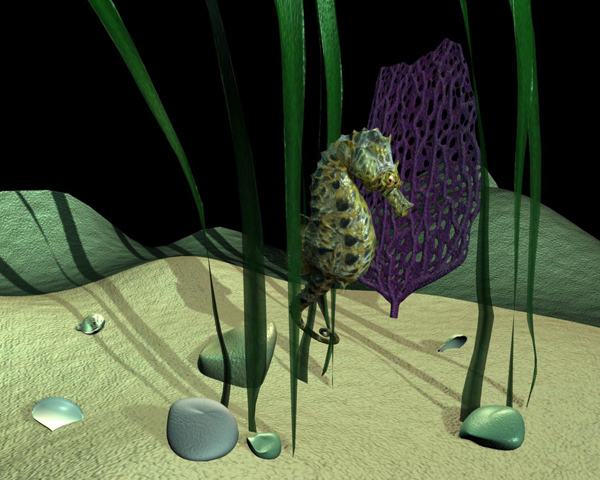 Funny, modo ships with a seahorse as its tutorial package. I’ll have to post my test results with it someday. FYI: this was not a tut model – made it myself (not that it’s particularly complex). I was very happy with the texturing though. Nice. You’re right the texture is very nice. Procedurals or mapping? I do so love baking! Before we had color, bump, lighting etc through baking good texture work was incredibly time consuming (really good still is) and costly for animation. Baking opened up so much more possibility.